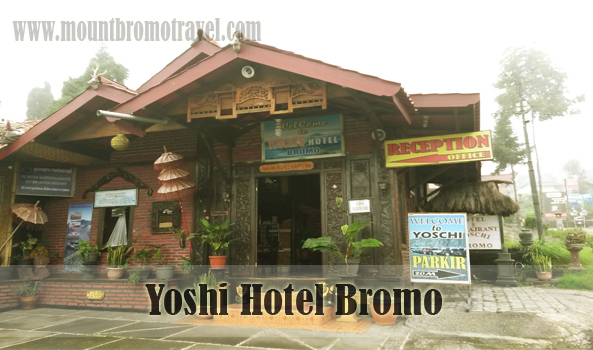 Yoschi hotel Bromo might be one of the best places to stay when you visit Bromo area. Indonesia is a country that is known for its natural beauty. There are so many natural landscapes that became tourist attraction in Indonesia from beaches, mountains, even to lakes and islands. One of the most popular natural landscapes that you can visit in Indonesia is Mount Bromo. This mountain is considered as one of the largest mountains that are located in Indonesia. There are so many tourists that visit this place, whether local tourists or tourists from other countries outside Indonesia. If you want to visit Bromo area, there are several important things that you might need to consider. One of them is where you should stay during your visit to this area. Most natural landscapes that became tourist attraction in Indonesia came with quite proper facilities and accommodations such as restaurants, souvenir shops, or even hotels. In Bromo area, you can find many choices of hotel that you can choose as the place for you to stay during your visit in this area for example, Lava view lodge, Bromo Permai 1, Sion view Bromo and etc. One of the best hotels that you can find in Bromo area is Yoschi hotel Bromo that offers various facilities that will make you more comfortable. Since there are many hotels that you can find in this area, you might need to know how to choose the right hotel for you so that you can get the best deal. Hotels in Bromo area are scattered in several different spots. Some hotels might be located quite near to the Mount Bromo while some others are a little bit further from the mountain. Before you decide to stay at certain hotel, it’s very important for you to consider the location of the hotel. Choose hotel that can be reached easily from the main roads. You can stay at Yoschi hotel that has good access to and from Mount Bromo area so that you can go there without have to use too much effort. When you want to stay at a hotel in Bromo area, other important thing that you should consider is what facilities that you will get if you stay there. Each hotel might offer different facility. Some hotels might allow you to use free Wi-Fi while others might provide Jacuzzi for their guests. If you want to get the best facilities when stay at a hotel, you should stay at Yoschi hotel Bromo.